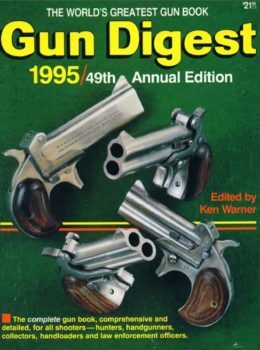 The World’s Greatest Gun Book, it’s a hefty statement, but one in which Gun Digest 1992 digital download more than lives up. 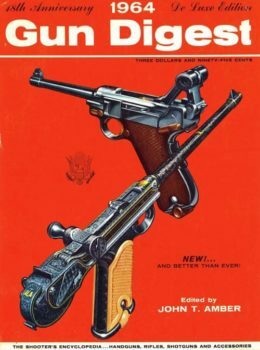 The 46th edition of the publication continues the tradition of being the definitive source of firearms knowledge with everything shooters have come to expect. Feature articles touch on topics ranging from The Guns of the Philippine Wars to Colt Clones. Contributing editors put new gun gear through the ringer, giving you the best tips for a your new trap shotgun, toy for the reloading bench or price for that unique gun above the mantel. This doesn’t even take into account the annually updated Ã¢â‚¬Å“Directory of the Arms TradeÃ¢â‚¬Â Ã¢â‚¬â€œ the most extensive in the firearms industry. Whether it’s used as a practical guide for to purchase your new hunting rifle or just an interesting read on Beretta’s new offering, the Gun Digest 1992 digital download has a place on every firearms enthusiast’s reading device.